April is National Child Abuse Prevention Month and the first Saturday of this month was recognized as ‘National Love Our Children Day’ which is observed annually. According to National Day Calendar, this day honors all children and encourages us to develop loving, respectful relationships with our children. To honor children, strengthen families and raise awareness for efforts to keep children safe. Love Our Children USA– a nonprofit prevention organization fighting all forms of violence and neglect against children in the U.S. –sponsors and promotes this day. The first annual National Love Our Children Day was held on April 3, 2004. Fast forward 14 years later, on April 7, 2018, the main focus remains on prevention of child abuse and violence against children. “…this special day is celebrated annually on the first Saturday of every April to honor children, strengthen families and raise awareness for efforts to keep children safe,” says Love Our Children USA. National Love Our Children Day is like Mother’s and Father’s Day for children and is celebrated across the U.S. Kids Live Safe wholeheartedly identifies with and advocates for the observance of National Love Our Children Day. At KLS, our mission is simple– to do everything we can to keep our children and loved ones safe from sexual predators. 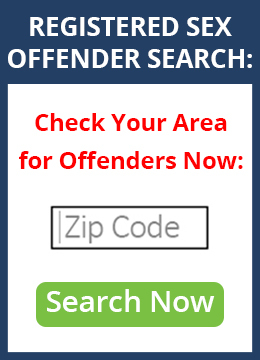 Protect your family from Sexual Predators by searching now.